The M2 motorway will be closed from Thursday morning to motorists as work to repair and restore the road gets underway. Authorities have advised motorists using the M2 to use alternative routes. The motorway will remain closed until at least October this year. 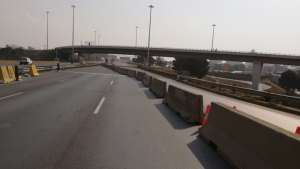 Johannesburg MMC for Transport Nonhlanhla Makuba says while the plan was initially just for the closure of the M2 east-bound between Joe Slovo and Maritzburg Road, the structural damage to the carriageway has prompted more drastic action. Full closure of the M2 between Crown Interchange and Maritzburg Street. Full closure of the M2 between Crown. Interchange and Maritzburg Street. The post M2 motorway closed from Thursday morning appeared first on SABC News – Breaking news, special reports, world, business, sport coverage of all South African current events. Africa's news leader..